When it comes to steak, Beantown doesn’t mess around. Boston is home to some of the best prime chophouses and restaurants in the country. When you are in Boston and you get a craving for steak, you have many noteworthy choices to pick from. So for all you carnivores with a red meat craving, here are the top 5 best steakhouses in the City of Boston judged by our panel of real estate experts who regularly take out top clients for delicious meals. 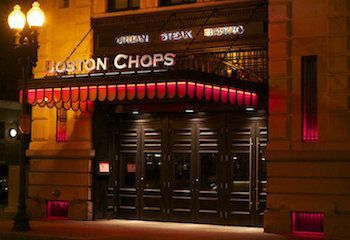 This restaurant is arguably the most popular steakhouse in Boston. 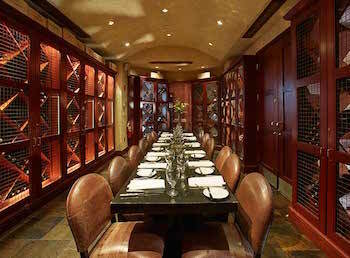 Grill 23 has been a venue for numerous corporate dinners and special ceremonies. There you will find high ceilings, elegant marble columns, stunning white tablecloths and friendly white-jacket clad servers. 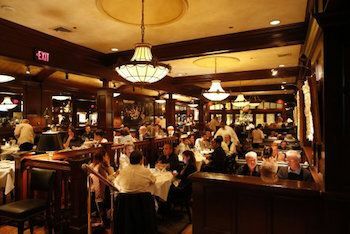 This fine restaurant has been one of the premier steakhouses in Boston for over 30 years. Wagyu strip-loin, a la carte cuts, ribeye that has been aged for 100 days and Kobe cap steak are some of the star dishes you will find on the menu. Their wine program and perfectly-made steaks have won national awards for several years, showing you that this is indeed one of the best in Boston. This South End gem is situated in a wonderful, cavernous area. The restaurant owners, Chris Coombs and Brian Piccini, provide a contemporary steakhouse feel through their state-of-the art institution. Their rich menu features some fantastic cuts and sauces. They offer hanger, skirt and strip cuts, and their sauces include bearnaise, bordelaise, and chimichurri butter. Patrons also love the bowl of fries that is served with meals. In addition to steak, you can feast on some tantalizing oysters, popovers, as well as roasted bone marrow with onion rings. Are you craving some savory steak? You should definitely pop into the Capital Grille for some enormous cuts. Their filet mignon starts at 12 oz and is served with a choice of 10 decadent sides to share. 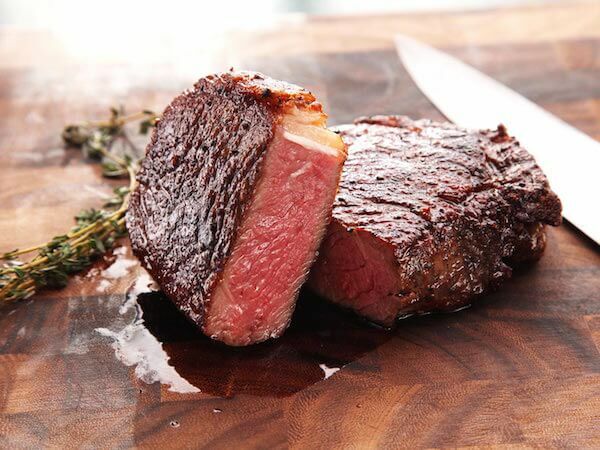 There is seared tenderloin served with butter poached lobster tails, and a delectable porcini-rubbed bone-in rib eye served with balsamic vinegar that has been aged for 15 years. The choice of name matches the black and white cow art that has been used to decorate this restaurant’s dining room. Their kitchen brings forth juicy, well-made 14 steak menu options that come together with bone marrow butter and garlic. You can eat Japanese Wagyu sirloin, fillets and rib-eyes in this fantastic restaurant. Steakhouse sides feature some contemporary spins such as crispy onion rings coated with Parmesan and panko. ABE AND LOUIE’S is yet another Boston eatery that is usually forgotten until someone desires some delicious steak. 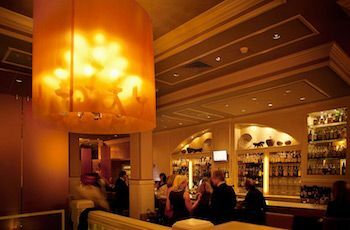 This Back Bay restaurant hosts loads of special occasions and delivers properly when it comes to high-quality food. Their red banquette booths, dark-wood panels welcome you to feast on the properly prepped Midwestern steaks that have aged for at least 30 days on the bone. Their sides feature creamed spinach, mushrooms that have been sauteed and a baked potato. You may also want to try the swordfish steak. With so many great restaurants to choose from, choosing the top 5 steakhouses in Boston was no easy task. Other honorable mentions include Strip by Strega, Del Frisco’s Double Eagle Steak House, Smith & Wollensky Boston – Atlantic Wharf, Ocean Prime, The Bancroft, Gibbet Hill Grill, Flank, and Bogie’s Place.